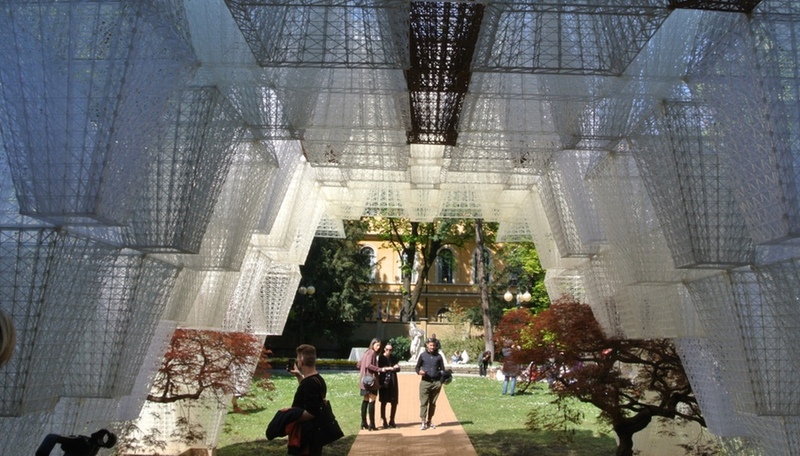 With summer pavilions popping up in cities around the world, this is always the best season for temporary architecture. 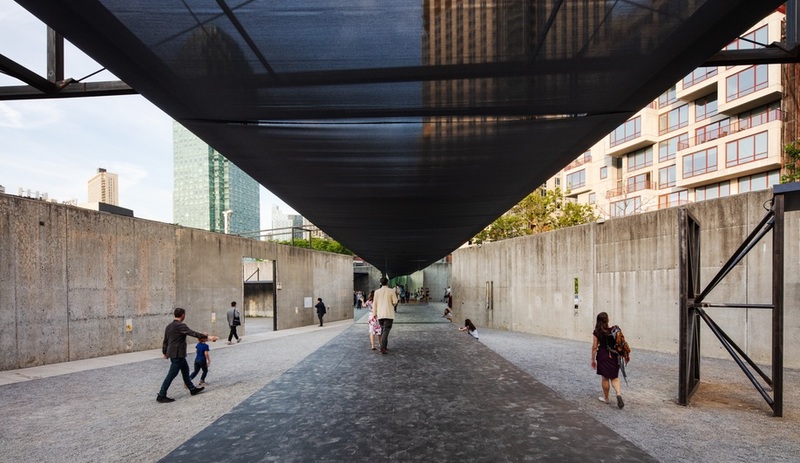 Here are a handful of installations, including the Serpentine and MoMA PS1, that are worth heading out into the heat for. This year’s YAP pavilion – designed by Minneapolis creative studio Dream the Combine, along with frequent collaborator Clayton Binkley – officially opened in the Long Island museum’s courtyard today. 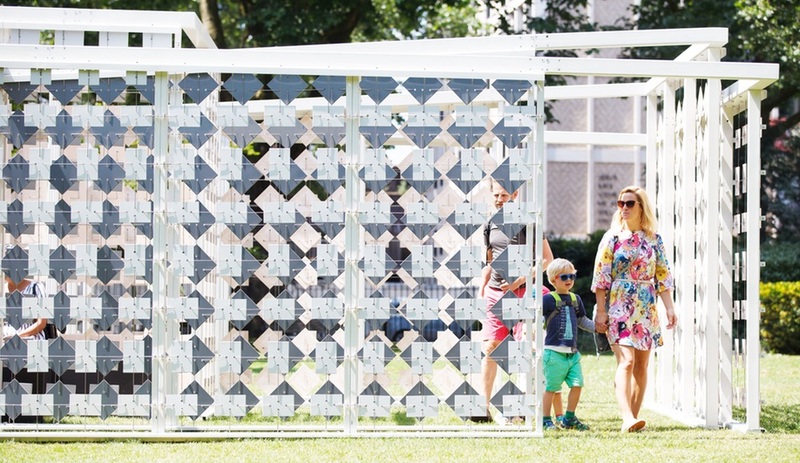 This year’s team answered the program’s annual call for a temporary installation that provides shade, seating, and water with Hide and Seek, a series of intersecting steel-and-canvas structures. 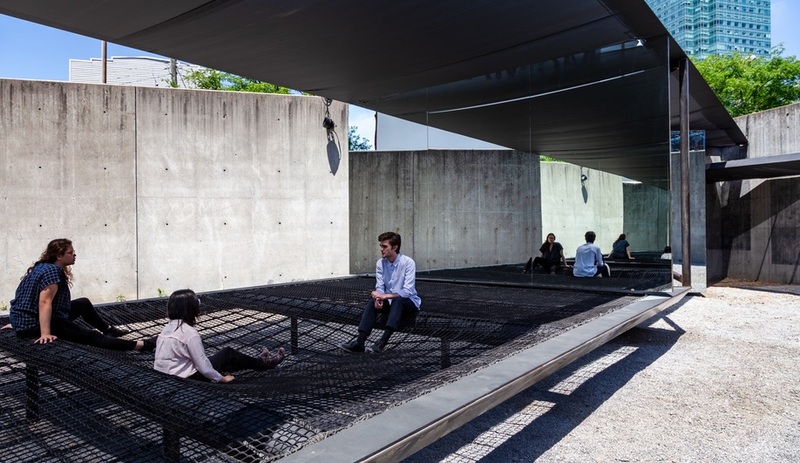 Topped with 122-inch-wide strips of charcoal E-screen fabric, donated by Hunter Douglas, some of the horizontal structures have a similarly dark plywood floor, while others feature a less stable surface, made springy netting that feels like a combined hammock and trampoline. 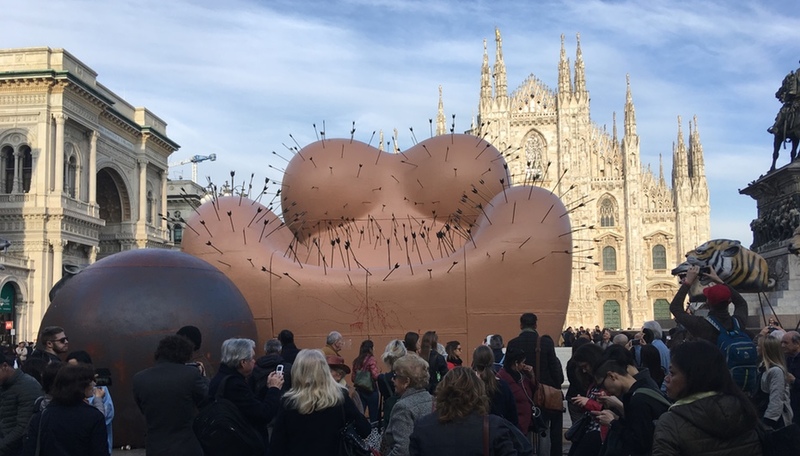 Like many of the studio’s works, the pavilion prominently features mirrors, which are suspended at either end of the interior spaces, angled to create infinite reflections, surprising views around corners, and thousands upon thousands of Instagram moments. 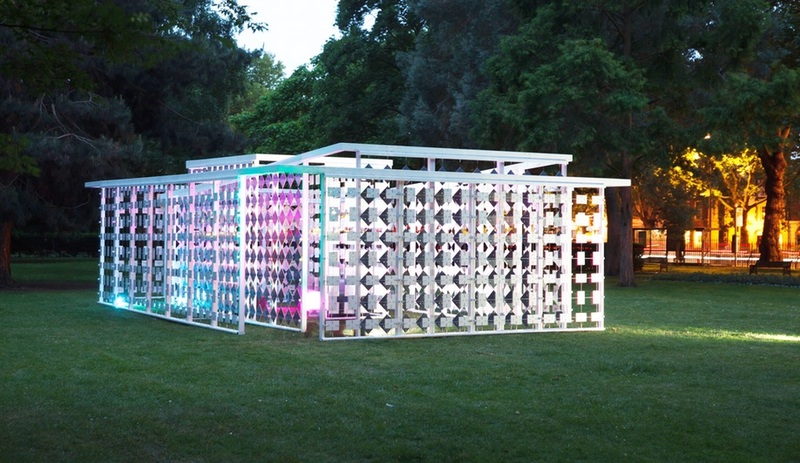 The annual installation in Kensington Gardens is among the most anticipated architectural events of the year. Since it’s inception in 2000, the Serpentine has been designed by some of the most intriguing innovators of our time, from Zaha Hadid, who created the inaugural structure, to SANAA and Bjarke Ingels. This year’s designer, Mexican architect Frida Escobeda, is the youngest yet to take on the commission and has delivered an enclosed courtyard, wrapped by a celosia – a type of breeze wall common to domestic Mexican architecture. 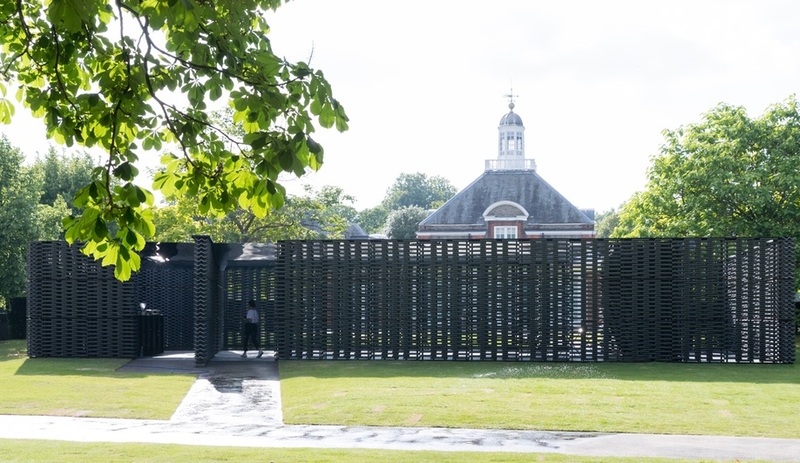 Constructed from locally made roof tiles, the walls align with the facade of the Serpentine Gallery on the north side. 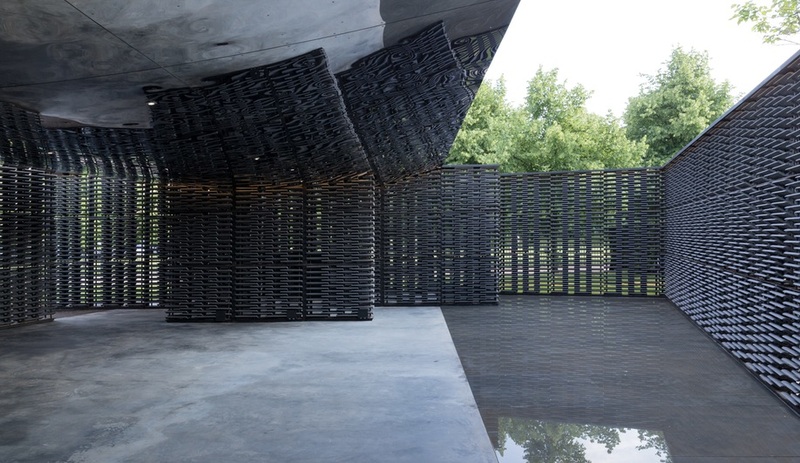 The south-facing wall provides a disseminated view of the park, blending the colours of the gardens, trees and sky beyond into the perforations between the dark cement modules. A small pool is included in the 233.3-square-metre interior, and paired with mirror-finished stainless steel panels on the floating roof above, the space is filled with subtle reflections. Among the lesser known pavilions worth checking out this summer is this blink-and-you’ll miss it installation on the lawn of the V&A Museum of Childhood. 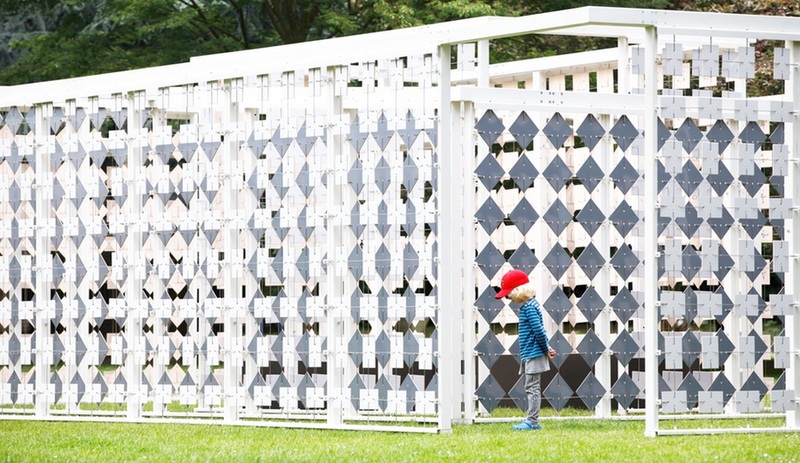 Wrapping up July 2, Infusion Pavilion by Berlin architect Julie Biron is a playful exploration of pattern and simple architectural materials and pattern. 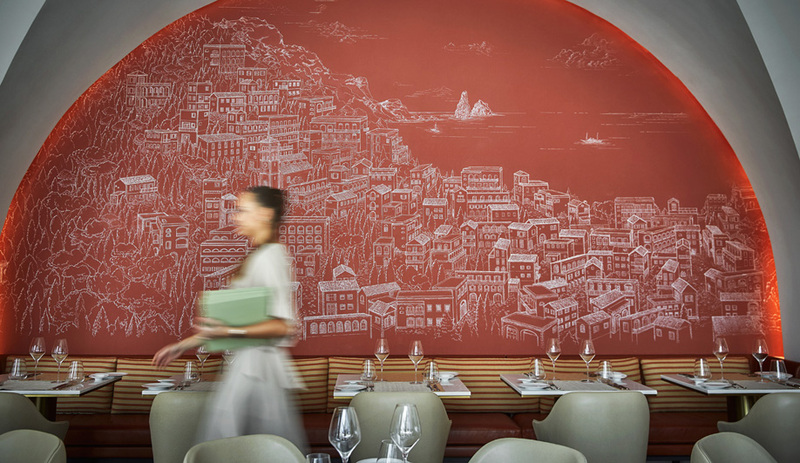 Framed in coated steel, the walls are made using ceramic tiles from Villeroy & Boch, which are suspended from a network of stainless steel cables. A variety of shapes, shades and sizes of tile create varying patterns as the pavilions interior and exterior walls overlap. At night the effect shifts, when the shadow play created by the daylight transforms, and the lights of neighbouring structures reflect off the white tiles on the exterior.